Organisations are increasingly striving to be intelligent, giving rise to decision-making systems that are based on analytical business models. Big data, analytics, predictive decision making and intelligence are jargons that are thrown around frequently in board room meetings and strategy discussions. However, according to a recent survey, conducted by Deloitte LLP, American Marketing Association and Duke University’s Fuqua School of Business, top marketers have reported a modest effect of analytics on improving the business performance. The capability of analytics and related decision-making systems, to give actionable insights, has been rated at an average of 4.1 on a 7.0 scale. This performance has shown only a minor increase from a score of 3.8 in 2014. The abundance of data is not correlating with performance improvement. In fact, according to the report, the cluttered and disjointed nature of data is hindering performance economics rather than augmenting it. Worse, as data grows, this problem compounds. Without the right analytic tool and a decision-making system, no amount of investment will translate to insights. This is where iCubesWire Delta steps in for digital marketers. Delta, stemming from an organisation that is leading the digital marketing ecosystem in India for over a decade, has a unique approach to combat this data challenge. Once the engineering team of Delta knew what marketers needed, they knew what data sources to integrate and how to integrate them. This is when the team started pulling data from disjointed marketing platforms and started colouring the insights canvas. Delta creates an insights warehouse instead of just a data warehouse, i.e. the data is translated to insights and the analysts will know what to do with it. How can Delta help a good analyst? One of the key requirements for a good analyst is the ability to communicate insights instead of data. Delta, having identified requisite insight categories for digital marketers, provides a robust platform with ready to use insights and reports with clear actionable intelligence. Delta is the best friend a good analyst needs. Automate multi-source reports, report on disjointed data sources, listen for social chatter, organise and measure influencer campaigns and much more. 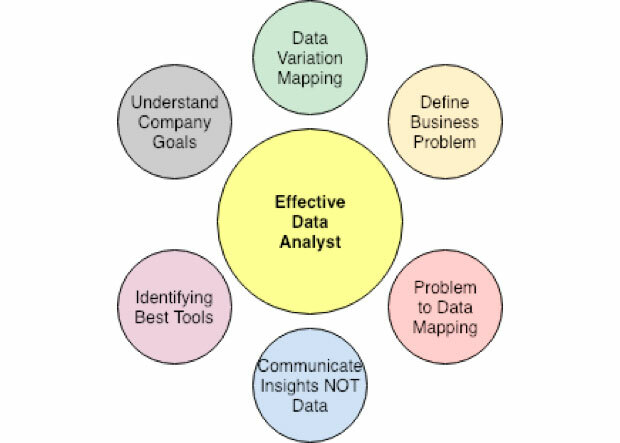 To conclude, realising the potential of data analytics requires a proactive and strategic approach to identify what insights are needed and recognising data sources that need to be mapped, and suitable analytics tools. Companies need to invest in the right mix of data, systems, and people to realise these gains. Tags: Sahil Chopra iCubesWire Guest Times Are you doing analytics right?